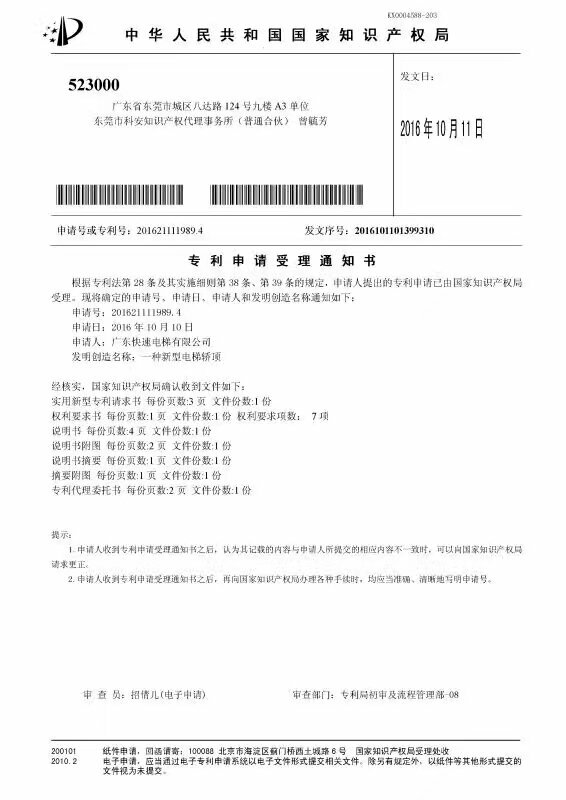 The 6 utility patents are researched and developed by GuangDong Fast Elevator Co. Ltd, and obtain SIPO acceptance. The products of FAST researched has filled a domestic gap in this field. FAST will transfer this tech to productivity, which will provide more security of elevators' normal ope ration.